Alex Kenyon could be pushing for a return to the Morecambe starting line-up when the Shrimps host Yeovil on Saturday. The midfielder made his comeback from a month-long absence with a knee injury as a late substitute during the draw at Newport last weekend. New signing Florent Cuvelier was also on the bench in south Wales but did not get on to the pitch and he will be hoping to be involved this time. Veteran Kevin Ellison staked his claim for a recall to the team by scoring Morecambe's equalising goal at Newport shortly after his introduction as a substitute. Yeovil hope to have James Bailey and Francois Zoko back for the trip to the Globe Arena. Both players have resumed training after knee injuries as the Glovers' injury issues show some signs of easing. Gary Warren and Jordan Green are waiting for scan results on their injuries, though neither is expected to be serious. Captain Omar Sowunmi (ankle) is out for up to three months while Diallang Jaiyesimi (knee) will not play again this season. 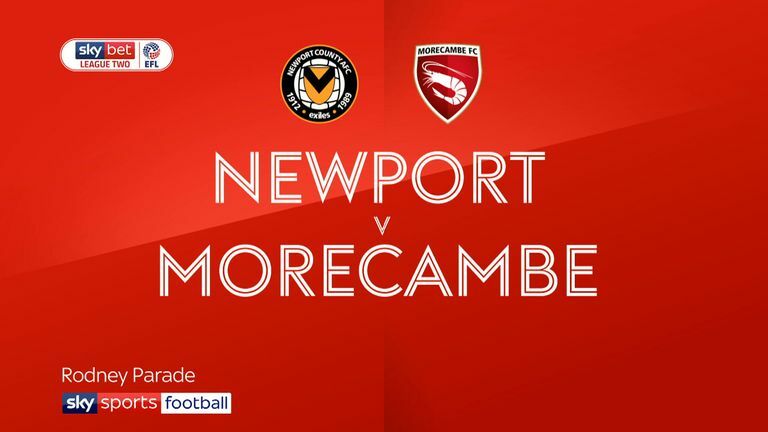 Highlights of the Sky Bet League Two clash between Newport and Morecambe. The six league meetings between Morecambe and Yeovil Town have produced a total of 25 goals (4.2 per game). 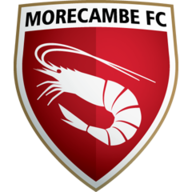 Morecambe have won four of the six league encounters against Yeovil (D1 L1), winning 4-3 in this exact fixture last season. No side across the top four tiers of English football has failed to score in more league games during 2018 than Morecambe (18). 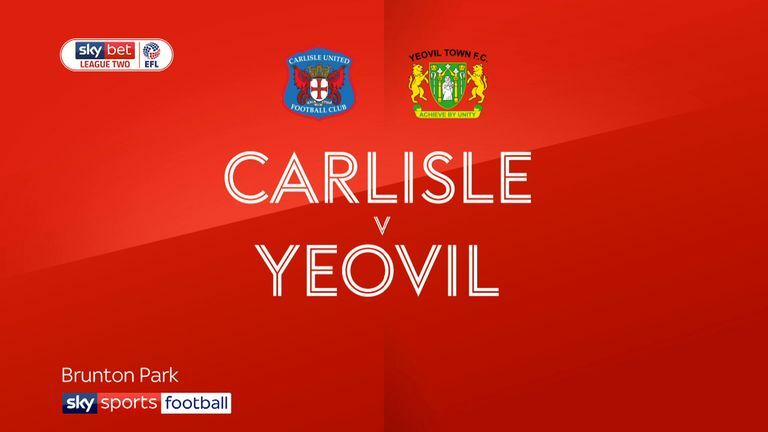 Highlights of the Sky Bet League Two clash between Carlisle and Yeovil. 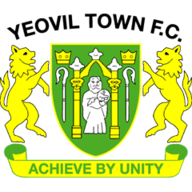 Yeovil have won four of their last six away league games (L2), keeping clean sheets in each of those victories and conceding three goals in both defeats. Liam Mandeville (4 assists) has set-up 27% of Morecambe's 15 league goals so far this season - no League Two player has assisted a higher percentage of their side goals.